The Dartmouth News announced today the start of a new Dartmouth College Master Plan process. Wouldn’t it be interesting to create a map like this for Dartmouth’s 250+ acre campus? Check out this great NY Times story of a park in Tulsa designed by MVVA. The firm working on the West End landscape design for Dartmouth. Is this an option for the Upper Valley housing market? May is Bike Month and we are ready for it! Biking is a fun, green and healthy alternative to driving. The folks from dartmouthbikes.com are removing abandoned bikes from the racks to make space available for yours. 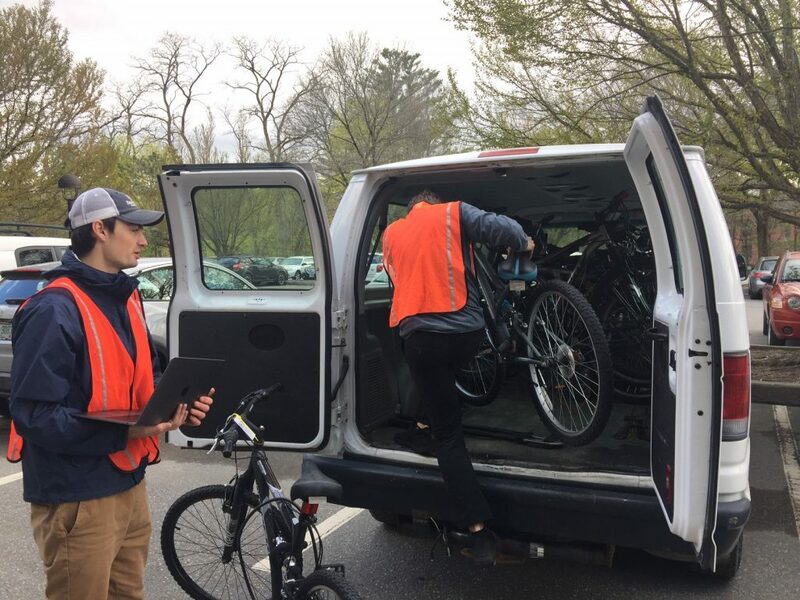 If you are commuting by bike to Dartmouth, pick up free shower passes at the Transportation Office to access shower facilities in the Alumni Gym. Max and Joe remove abandoned bikes from our bike racks and fix them up to have a second life. And there is always the option of joining Dartmouth’s Bike Share program. Just download the Zagster app and sign up for just $20 a year. This way you always have a bike conveniently at your disposal without having to worry about the maintenance. Stay tuned for other activities during bike month. 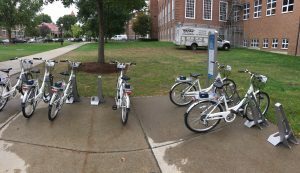 Join Dartmouth’s affordable and convenient Zagster bike share program. After hibernating for the winter, Zagster bikes return to campus on March 27th. The entire fleet will roll out with new Bluetooth-enabled ring locks, making Zagster bikes available at the touch of a button. 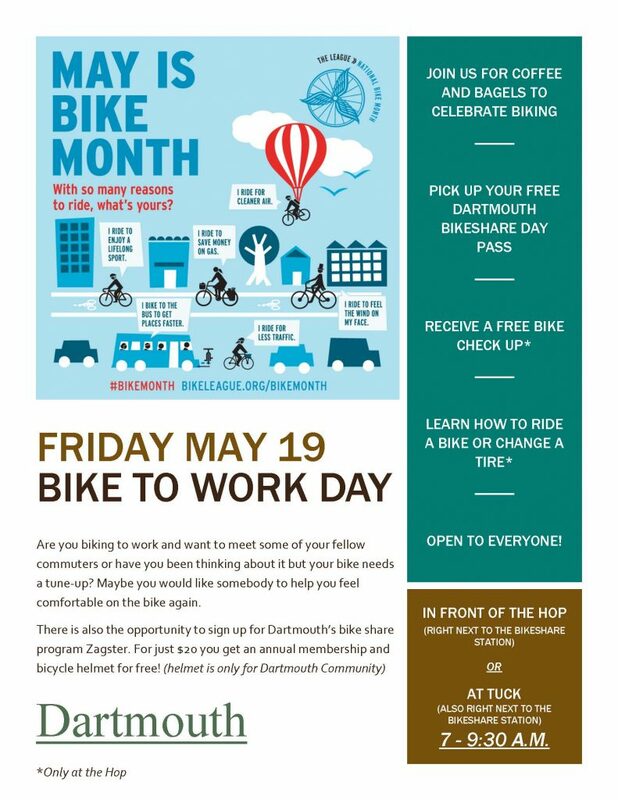 Membership information is available at http://bike.zagster.com/dartmouth and by downloading the Zagster app available in both IOS and Android platforms. Uber is formally expanding in the Upper Valley. Service will now be available throughout Hanover and Lebanon. Download the app and request a ride using code RideNH for $20 off your first ride. You can also sign up to become a driver. Visit uber.com/drive to learn more. Among the many projects taking place in our Planning Office, one of the more recent is the completion of the Annual Space Survey. The Planning Office just completed the 2016 Space Survey with the vital cooperation from departments campus-wide. The Space Survey is the backbone for the dynamic assessment of space, including space data acquisition, space planning, and data presentation that are essential to making informed decisions. Probably the biggest driver for the survey is the Cost Space Allocation initiative. This initiative outlines methods for increased efficiency in the use of space, increased accuracy of space data, and an evolution in the campus mindset regarding cost of and use of space. 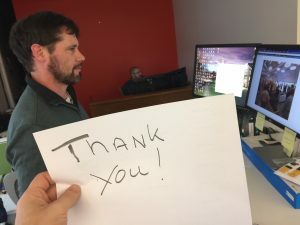 Thank you to all of the Space Gurus, Space Survey Takers, and Departments for all of your help and for making the Space Survey run more smoothly each year.